Skin Vitality Medical Clinic injects over 100 BOTOX patients daily at 9 locations across Ontario. Our doctors, nurse practitioners, registered nurses and registered practical nurses have injected over 5 MILLION patients in the last 15 years. With our extensive experience, you can trust your face with our Medical Injectable Experts for natural looking results that you’ll love. 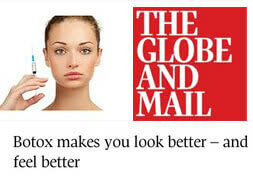 We’ve performed so many BOTOX treatments that we are now the most popular BOTOX provider in Canada! There are millions of BOTOX Cosmetic injections performed on men and women yearly worldwide, and it consistently tops the list annually as the most popular cosmetic procedure according to the statistics compiled by the American Society for Aesthetic Plastic Surgery (ASAPS). In 2017, there were an impressive 1,548,236 procedures of this type of treatment performed, and that is just for North America! This shows you how popular a Toronto BOTOX Cosmetic procedure is, due to its effectiveness and proven safety track record. Please email/text me discount offers from Skin Vitality (You can withdraw your consent anytime). You’ll see one of our top BOTOX medical injectors, who will use their expertise and experience to individualize your treatment while minimizing side effects, creating a natural looking result that you’ll love. At Skin Vitality, we have a team of over 200 professionals including 10 Medical Doctors, 40 Nurse Practitioners (NP) and dozens of Registered Nurses (RN) and Registered Practical Nurses (RPN) who are all licensed to perform the BOTOX Toronto procedure in the Greater Toronto Area, Kitchener, St. Catharines, and London at our 9 locations. Our medical professionals will ensure that your treatment is performed accurately, applying techniques that will make your experience comfortable and achieve the results you want. In fact, our injectors even train others to perform this treatment in hands-on training. Your procedure is performed in a beautiful facility that is designed with your comfort and safety in mind. And due to the number of procedures we perform on a weekly basis (making us the TOP provider in Canada) you can rest assured that our expert medical injectors have the experience and know-how to achieve the results you want safely and effectively. We help you achieve your goals so you can feel better about yourself. Talk to us about BOTOX. Wrinkles are one of the most obvious signs of aging and, unfortunately, they occur naturally as we grow older. BOTOX is able to help in reducing them by stopping the processes that lead to their creation and giving your skin the chance it needs to soften wrinkles and minimize their appearance. BOTOX is able to provide a wide range of fantastic treatment options that all work to make patients look great and, even more importantly, feel more comfortable in their own skin. This treatment has a growing number of uses, from easing muscle spasms (for example, in spastic cerebral palsy) to flattening wrinkles and modifying your jawline! There are currently over 20 different medical conditions that clostridium botulinum toxin is being used to treat, with more being discovered regularly. BOTOX is approved by the FDA and Health Canada for the treatment of crow’s feet (those wrinkles that extend from the outer corners of your eyes, and appear most often when you smile or squint) and glabellar lines (the vertical creases between your eyebrows, most prominent when you frown). These are also called Botox 11 lines. The chronic pain associated with most of these conditions was resolved with BOTOX. While Botox is not approved for depression, scientific studies have shown that it can improve the mental condition as well. Temporomandibular joint disorder (TMJ) can also be improved. BOTOX Cosmetic contains onabotulinum toxin A. When this substance is injected, how it works is by simply relaxing the facial muscle underneath the skin to create a smooth and refreshed appearance. While this only targets the wrinkles that appear when you make facial expressions, you can consider getting an injectable filler treatment with hyaluronic acid at the same time for any wrinkles and creases that are permanently visible. This combination is known as a “liquid facelift” or Soft Lift™. Let’s look at a common problem targeted to see how BOTOX works: glabellar lines. leading to the development of creases, lines or wrinkles. As we get older our skin is less able to rebound from being repeatedly creased and glabellar lines become a permanent part of our face. — the signals sent between brain and muscle — and gives muscles the time they need to relax from their regular contractions. Glabellar lines are unable to remain visible once the underlying cause behind their formation has been cut off. When BOTOX is introduced to the area between a patient’s brows, creases and wrinkles lose shape and these lines soften and smooth out. 1. How do I know if I am a good candidate for BOTOX? BOTOX treatments are customized for each patient, and there is no single method that fits all facial types. There are a lot of elements that need to be taken into account, such as whether the face is male or female, eyebrow shape, facial structure, dimension and length of forehead. The talented medical injectors at Skin Vitality have experience in treating hundreds of thousands of patients with different backgrounds using specific techniques that result in a natural result. BOTOX works best for certain individuals in facial rejuvenation. It’s been designed, mainly, for people that do not have any history of neuromuscular disease (like multiple sclerosis and others) and are consenting adults. Candidates that can benefit most from BOTOX treatment are physically and mentally healthy and willing to deal with the side effects that can arise following their procedure (like temporary swelling or drooping at the injection site). Patients should also be able to comfortably spend the money that undergoing a properly-administered BOTOX treatment requires. The ideal candidate also understands the limitations of the treatment and can go into their procedure without harbouring unrealistic expectations. For example, it may not be effective in areas where a permanent crease has already formed, such as a nasolabial fold, or if added volume is desired, as is the case of lip augmentation. BOTOX effects can vary from person to person and patients that expect a sudden, drastic resolution to their skin problems may be disappointed if their treatment’s results don’t live up to expectations. An ideal BOTOX candidate should be patient and willing to undergo follow-up sessions that allow them to enjoy the results they desire. 2. Who should not have BOTOX? Botulinum toxin should not be used in pregnant or lactating women, as well as people who have had a previous allergic reaction to the drug or any of its ingredients. If you were allergic to Dysport, then there is a high chance of being allergic to BOTOX as well because of how similar these drugs are with each other. Check with your doctor regarding the medications you’re currently taking as well. Certain products may interfere with BOTOX results and, if these medications can’t be temporarily halted, the procedure may not be right for you. Most of us want to be as prepared as possible for any type of procedure — even one as routine and speedy as a BOTOX injection. Learning about the subject beforehand makes it easier to dismiss fears and ensure that you’re moving forward with the best plan of action for your situation. There are a few physical attributes that can make for a non-ideal BOTOX candidate. Treatment isn’t recommended for people with thick facial skin, drooping eyelids and eyelid droop (a condition called ptosis), weakness in the muscles to be injected, extremely deep scars on the face, facial asymmetry and the presence of skin disorders or conditions in the areas where BOTOX is to be targeted. If you have a pre-existing medical condition, like Lambert-Eaton syndrome, BOTOX may not be suitable for you. Patients that choose to undergo a BOTOX treatment must also be prepared to experience a few side effects. If the idea of mild to moderate inflammation, swelling or minor procedural pain cause you to doubt your plans for treatment then it may be worthwhile to consider whether these temporary, negative aspects of BOTOX outweigh the benefits it can have for your appearance. 3. What to do before your appointment? At your consultation: It’s a good idea to bring a few questions along to the consultation. Because BOTOX is a prescription drug, you’ll meet with a licensed physician to discuss your goals for the treatment. You can ask for a description of the day of the treatment to get a good feel for what to expect. The area to be treated will be examined to make sure BOTOX is right for you. Although BOTOX injection treatments are extremely safe, it does have the potential to create side effects after its use. Your injector will be able to explain what to expect (the most common side effects of BOTOX are swelling and temporary, localized discomfort – all related to the injection rather than the product itself) and how to deal with any problem that arises. You may also be advised to avoid strenuous activities for a day before the injection or apply an ice pack to the procedure site before and after your visit to ward off swelling. Prepare for your treatment by avoiding any medications that thin the blood about one week before your injection. You can also take Arnica pills a couple of days beforehand to help with bruising. Another product that helps with bruising and inflammation is pineapple. 4. How is the procedure performed? It’s normal to be a bit frightened or worried on the day of your first BOTOX treatment but, if you’ve followed the steps outlined above, there’s really no reason to be. After all, it’s not cosmetic surgery – it’s a routine non-invasive injection treatment. When you arrive at Skin Vitality Medical Clinic, you’ll be asked to lie in a reclining chair and your injector will ask you to contract specific muscles around the injection site so they can mark the targeted areas. A topical numbing agent can be applied. The BOTOX injection itself feels much like an insect bite so, unless you have a very low pain tolerance, you’ll be fine with only slight numbing with local anesthetic, in the form of a topical cream. The procedure itself then takes place and only lasts around ten to twenty minutes. The BOTOX Cosmetic is administered using a super-fine needle to avoid any pain, bruising or swelling. The BOTOX is injected directly into neuromuscular tissue and it takes 24-72 hours for it to take full effect. In some very rare cases, it may take as long as five days for the full effect to be observed — it all depends on how your body reacts to the treatment, and whether there is any swelling that could be hiding your results. That’s why we usually ask our patients to assess their results at about the one to two week mark. A followup appointment can be booked with your injector to review your results. 5. How long does the procedure take? The BOTOX Cosmetic is administered using a super-fine needle to avoid any pain, bruising or swelling. The procedure only takes around 10-20 minutes. Once injected, it typically takes about 72 hours for the product to start taking effect and the full effect can take up to 2 weeks — it all depends on how your body reacts, and whether there is any swelling that could be hiding your results. That’s why we usually ask our patients to assess their results at about the one to two week mark. A followup appointment can be booked with your injector to review your results. 6. Will everyone be able to tell? After a proper BOTOX treatment, your friends and colleagues should not be able to immediately tell that you’ve had BOTOX, but they should notice something more refreshed, relaxed and attractive about you. One of the most common reasons for avoiding BOTOX treatments is that patients are afraid they will fall victim to classic signs of “over-Botoxing”. We’ve all seen celebrities that look noticeably altered by improperly administered treatment and want to make sure that we never experience these problems ourselves. Since BOTOX works by blocking neuromuscular transmissions, it’s possible to overdo treatments and create a “frozen” look where facial expressions become unnatural or stiff. This occurs as a side-effect of BOTOX’s intended effects – namely, the partial relaxation of a targeted area. That’s why it’s important that the medical professional performing your treatment has the experience, knowledge and credentials to inject the right amount of product in the right spot. BOTOX® may be injected too close to the eyebrows or eyelids and create a drooping effect. Again, accurate injection placement, technique and amount are critical. All injections will cause some inflammation or light bruising, since the injection is made into the soft tissue. However, one common sign of excessive (or improperly administered) BOTOX can be found in patients with severe bruising, redness and inflammation. Because any injection irritates the skin it is important to have an experienced medical professional perform treatments. How Can a Good Medical Professional Prevent These Signs? An experienced and skilled medical professional can work with you to ensure that you don’t suffer from an “over-botoxed” appearance. A “frozen” look can be avoided by agreeing on a cautious treatment schedule that is appropriate for you. Avoiding excessive therapy is also essential for keeping the face as natural looking as possible. Bruising, inflammation and droopy eyelids usually aren’t a concern when you’ve been treated by a pro who knows their stuff, and has the experience to back their claims. Just as needles are less painful when administered by a skilled medical injector, side effects are dramatically reduced altogether as well. 7. How long does BOTOX last? Is it permanent? No – BOTOX Cosmetic is not permanent. Within two or three days after your injections, the muscles that produce frown lines lose their ability to contract. For the next three months or so after you’re treated, you can’t frown even if you try. After that, the effect gradually decreases until muscles return to normal about six months after the treatment, which can then be repeated. If you follow the directions given to you and book your first 3 appointments promptly every 3 months (without waiting in between!) you can eventually increase the duration results of each treatment. There are no long term effects. 8. 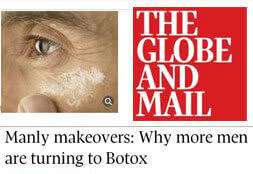 Where does the Botox go once it is injected? Botox Cosmetic will stay local to the muscle where it was injected. However, there is a very minimal risk of migration, particularly if the treated area is rubbed or excessively touched immediately after your injection. For that reason, it’s best to avoid touching the area in the first few days. After your Botox Cosmetic treatment, the product is simply metabolized and broken down into a natural by-product in the weeks and months after your injection. 9. What happens when the treatment wears off? If you continuously use BOTOX Cosmetic for a number of years and then stop, your muscles have been repeatedly relaxed and therefore you will look better than when you started. You’ll also look better then if you hadn’t had the treatments performed at all. That’s why it’s important to maintain the results of your treatment with touch-ups. This allows you to keep your appearance looking fresh and rejuvenated and delays the development of more wrinkles and creases. 10. How much does it cost? The cost of BOTOX treatment varies by each patient and only a personal consultation can give you a more specific amount. The cost can range from $100 and up depending on the amount of BOTOX injections required and the area being treated. 11. Will I look “plastic”? No. We will ensure that you get the look you desire – as natural as you want. In our experienced hands we can simply make you look more natural, relaxed and refreshed without anyone noticing you have had anything done. This is our primary goal! We do this by first assessing your facial anatomy so that we can accurately pinpoint the area that needs to be treated as well as discussing your expectations. A specific amount of BOTOX is then administered to the appropriate muscles causing your wrinkles. Usually, a series of injections is made in the area so that all the muscles are targeted. This allows for a more comprehensive approach to treating your wrinkles. So, for example, three injections may be made in the orbiculares oculi muscle on the outer corner of one eye to treat the crow’s feet there. 12. What are the side effects? Although very rare and not permanent, some people have a short-term headache after their treatment. This is a rare side effect that some patients may experience following their injection. To be on the safe side, do not take products containing aspirin prior to or within a day following your injection, even if you get a headache. Doing so can increase the rate of bruising and bleeding (if any). If you require relief, choose Tylenol. What can also help prevent a headache after treatment is to relax while you’re getting the injection. Breathe deeply and don’t be nervous – you’ve selected an experience and skilled medical injector at Skin Vitality to perform your procedure, so don’t worry! You’re in good hands. Some experience bruising (which can be covered with makeup) or swelling, and both are also temporary. Almost every patient is able to come out of their BOTOX treatment without feeling any lingering pain or discomfort. A good cosmetic doctor or nurse knows how to direct injections into only the muscle groups that require alteration, meaning that the only lasting effects should be confined to the area where the BOTOX was administered. How long any swelling and bruising lasts depends on your body’s ability to recover. If you find that it takes some time for you to heal from a bruise, then chances are you’ll need to wait it out a little longer. If your bruises heal relatively quickly, then you’ll most likely be able to enjoy the true results of your treatment quickly as well. Whatever you do, avoid rubbing or massaging the treated and bruised area following treatment to prevent the migration of product (which could cause temporary facial weakness if it comes into contact with muscles in another area). You want to keep the BOTOX all in the area it was injected to be the most effective. Despite this, there are still a few minor side effects that can arise after a BOTOX injection. One of them is the appearance of light bruising and tiny red dots after treatment. Don’t worry! Both of these symptoms usually begin to gradually fade then completely vanish after only a few hours have passed. The process can be sped up (or reduced in severity) by applying a cold compress to the area of the face or body that was treated. If you plan to return to your schedule immediately, applying makeup is often enough to hide these symptoms. Make sure to use an applicator that is clean to reduce the risk of infection. Some people believe that Botox is a poison, but it is not. In small doses, it is therapeutic. 14. Where is the treatment performed? Your BOTOX treatment will be performed in the safety and privacy of our medical clinic. You may choose any one of our 9 locations across the Greater Toronto Area, London and Kitchener – wherever is most convenient for you! Find out our clinic locations. 15. When should I get Botox before a big event? Patients often get Botox before an important occasion, so they can look their best. If you are planning to do the same, you should consider getting the treatment done a couple of weeks before the date. For example, you can get Botox 3 weeks before a wedding. That would give you enough time for any swelling and bruising to subside, if they happen to occur. About 5 days after your treatment, you should see some improvement, since it can take this long for the Botox to start to work. 16. I'm 4 weeks pregnant. Can I get Botox? It’s a good idea to refrain from getting Botox while you’re pregnant or breastfeeding. If you’ve been careful to follow all of the instructions provided by your clinic then you should be able to recover from your BOTOX treatment very quickly. BOTOX injections are quick to administer and require almost no recovery time (some patients even return to work right after their session). Once your procedure has been completed your doctor or nurse will often ask you to move the muscles surrounding the injection site in a certain way (this is most often done when BOTOX has been applied to the face) in order to determine treatment results. They’ll then let you go but will often advise on a few activities to avoid. Are you a regular BOTOX patient? It’s great that you are, because this ensures that you keep those pesky wrinkles away and delay the development of future ones. As a regular BOTOX user, you may want to consider signing up to the Brilliant Distinctions Program. This is a rewards program offered by Allergan, the manufacturer of BOTOX, in which our Ajax location participates. Every time you get a treatment performed at our BOTOX clinic, you receive points. 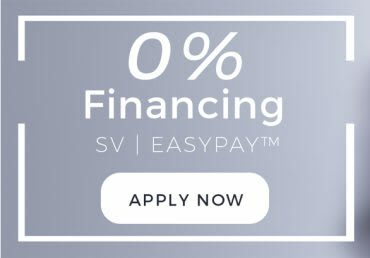 These points can be used to save on any future treatments or purchases of other Allergan products (such as the dermal filler, Juvéderm VOLUMA). Enrolment in Brilliant Distinctions is totally free. Just ask your expert injector at our Ajax location for details on how to sign up. BOTOX is a household name nowadays but most of us are only familiar with its common uses when, in fact, it is a product that is revolutionizing cosmetic medicine in a wide variety of different ways. Aside from its primary wrinkle and fine line treatment applications, BOTOX is also able to offer patients a vast array of other, equally valuable aesthetic benefits. One of the most popular new applications of BOTOX is found in its ability to be used as an effective jawline reshaping tool. BOTOX is formulated with botulinum toxin as its primary ingredient, working by taking advantage of the toxin’s function as a tool for blocking nervous transmissions. BOTOX is able to intercept signals being sent from the nerves to the muscles and stop them, halting muscle contractions and causing a relaxation of the targeted area. This same function works for jawline reshaping by affecting, not wrinkled areas, but the jaw’s masseter muscle group. BOTOX is injected into the masseter, stopping nerve impulse from telling the muscle group to repeatedly clench (and, ultimately, grow in size) and resulting in a controlled atrophy of the area that reduces jaw size. Regular follow-up injections of BOTOX can give patients a reduction in jawline size that allows them to enjoy reshaping effects that better fits their desired appearance. Jawline reshaping through BOTOX gives patients the ability to alter their jawline without having to undergo painful surgeries that require intensive recuperation times. Because BOTOX injections are so unobtrusive, patients have begun to make use of it as a nonsurgical jawline reshaping tool regularly, this revolutionary use now becoming an extremely popular treatment that serves as a welcome alternative to traditional reshaping methods. Hyperhidrosis is a condition that causes patients to suffer from abnormally excessive, troublesome sweating. The medical community has long looked to give these sufferers a solution to this problem — one that can often become extremely embarrassing and debilitating — but many options require painful surgeries and promise insufficient results. Until recently, people that were forced to deal with hyperhidrosis had few options available to them and had to choose between resigning to suffering from the condition or hoping that traditional treatment methods would help them enough to get on with their lives. Luckily, BOTOX for hyperhidrosis has been found to be an effective solution, its natural properties working to help with gland-related ailments with unprecedented success. Gland reduction is one of BOTOX’s many, relatively unheard of properties. Just as it is able to work throughout the rest of the body (and the skin in particular) in blocking neuromuscular transmissions, it’s also able to use this effect in treating overactive glands throughout the body. Excessive sweating is caused entirely by overactive sweat glands that are unable to properly regulate their function. BOTOX hyperhidrosis treatment is able to block nervous transmissions directed toward sweat glands, stopping them from frequently causing the glands to produce perspiration. This has the end result of slowing the gland’s sweat production and putting a stop to hyperhidrosis. When most people think of BOTOX, they inevitability think of its use in wrinkle reduction but facial reshaping and modification is also a revolutionary use of the product. Just as BOTOX is now catching on as an effective jawline reshaping solution, so too can it be used to alter other aspects of the face. In jawline reshaping, BOTOX works by reducing the size of built-up muscle groups, lessening the appearance of strong features by naturally causing a weakening and dissolution effect. This application also works for other areas of the face. BOTOX is able to alter the shape of the face by blocking neuromuscular transmissions in problematic areas, slowing muscle development and decreasing areas of unwanted muscular build-up. The range of modification and reshaping treatments made available through BOTOX are staggering. BOTOX is able to provide incredible, effective results that allow a patient to change elements of their face that they find unattractive. The product’s ability to provide natural-looking results through an unobtrusive set of treatments makes it an ideal solution for many. Instead of painful surgeries, regular BOTOX injections can give patients the appearance they desire without as many of the difficulties that come along with traditional therapy. Please Note: All patients must undergo our medical consultation with one of our licensed physicians prior to receiving prescription medication. Botox Cosmetic® is a registered trademark of Allergan Inc.
BOTOX COSMETIC® is a registered trademark of Allergan Inc.
LATISSE® is a registered trademark of Allergan Inc.
SOFT LIFT™ is a registered trademark of Allergan Inc.
JUVÉDERM® is a registered trademark of Allergan Holdings France SAS VOLBELLA™ is a trademark of Allergan Inc.